The U.S. Fund for UNICEF is proud to announce the winners of the Campus Challenge for the 2011-2012 academic year. From August 1, 2011 through April 1, 2012, the U.S. Fund for UNICEF partnered with the Association of College Unions International (ACUI) and the George Harrison Fund for UNICEF in a nationwide fundraising challenge on college campuses. The charity is proud to report that over 280 colleges and universities raised more than $167,000 for UNICEF through the Campus Challenge this year! 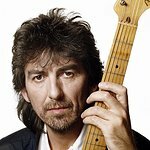 The George Harrison Fund for UNICEF will match $150,000 of the funds raised, resulting in over $317,000 to support UNICEF. The first-place winners of the Campus Challenge, University of Notre Dame, raised $17,301 for UNICEF’s lifesaving work around the world. In second place, The Ohio State University UNICEF Club raised $12,134, and in third place, Louisiana State University raised $5,770. UNICEF campus clubs dedicated many hours of their time and worked tirelessly to fundraise, educate and advocate for child survival. This year some of the successful campus events included: Trick-or-Treat for UNICEF costume parties and penny wars, 5K runs, UNICEF Snowflake Balls, UNICEF Tap Project water walks, hunger banquets, bake sales, development and speaker series, movie and documentary screenings.